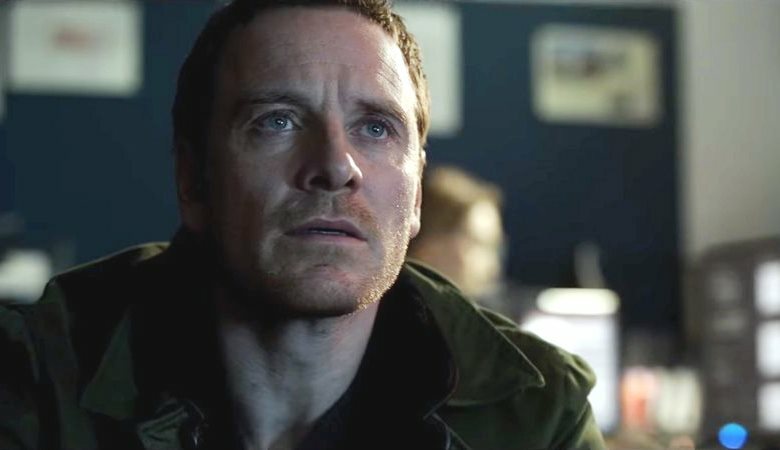 With potentially intriguing material until it gradually dissipates into zero intrigue, The Snowman is further sullied by disingenuous flashbacks, a jumble of red herrings, cutaways to extraneous characters, overdone camera movements, stupefying behavior by a few that seal their own fate against the killer, and an unremittingly depressed Michael Fassbender as the Oslo detective Harry Hole who nary makes a smart move. It is one of the worst movies ever made. It’s not one of those fun, you can’t wait to pick it apart awful movies either. It is a thoroughly frustrating sludge to get through. I saw it on home video, so time not only comes to a halt even as the movie is going forward, I actually had instances when time was moving backwards – I could be an hour into it, and so annoyed at what happened at the 25-minute mark that I had to go backwards to re-watch past scenes in troubled disbelief. This happened multiple times. I ran it back not for fun. Make note I ran it back just to make sure I was the sane one. This is a movie filled with endless peculiarities. When Val Kilmer as a cop nine years earlier hears about the death of someone close to him he is suspiciously silent and his face unfortunately affected by partial paralysis, and when he does speak it’s from behind his head at first – later on, we realize that the actor’s entire lines were dubbed by another actor. His character is arguably immaterial. Twofold, why is Kilmer here? Toby Jones has less than ten words in the movie, so why did they bother to get him? J.K. Simmons is game, and therefore not doing bad acting, as a very rich and influential man in charge of attracting the Olympic games to Norway, and he’s a suspect, but only because some scenes show him doing some weird little things. The other male actors of the cast are simply too boring to mention. Chloe Sevigny, Charlotte Gainsborg and Rebecca Ferguson round out the notable women in the cast, with Ferguson being the only actress who is halfway interesting although she uses genuine flattery on Harry Hole only to abhor him later, yet becomes his driver and partner on the case all too conveniently. Ferguson is a rookie cop named Katrine Bratt, and she seems to get better leads than Harry Hole anyway. Harry is supposed to be a drunk and yet an envied detective because of his skills, but he’s a crumbling mess. To boot, when a hypothesis is gathered on why the killer is picking off a certain demographic of women Harry actually denies the connection and doesn’t see it. He’s persistently logic-challenged. Tomas Alfredson is the director whose international hit “Let the Right One In” is rightfully respectable and his “Tinker Tailor Soldier Spy” was acclaimed but I found to be a muddled bore. 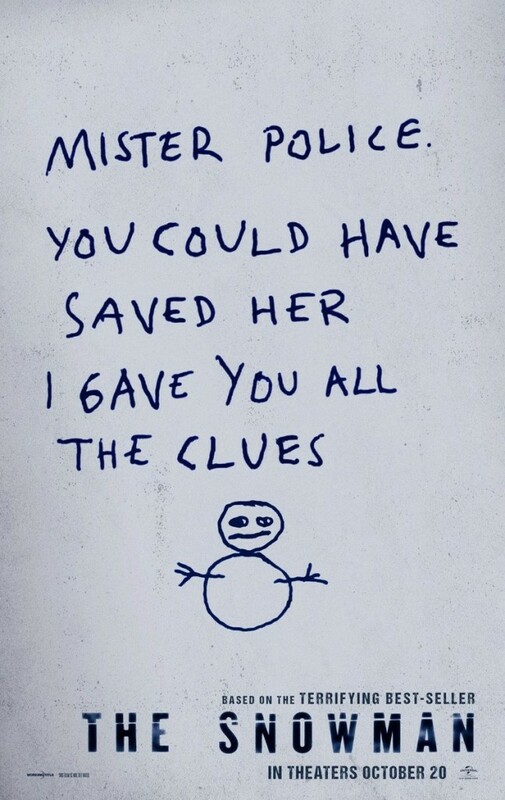 Alfredson has recently stated that the production of “The Snowman” was in such a rush that fifteen percent of the script never got filmed. I’d still like to give him the benefit of the doubt (no I’m kidding, not really) but I really, really cannot let him off the hook for making Fassbender come off an incredibly boring and baneful actor. Film Cousins: “Whispers in the Dark” (1992); “The Life of David Gale” (2003); “88 Minutes” (2007); “I Know Who Killed Me” (2007).